Physicians working in Europe and the United States should suspect Chagas heart failure in every patient coming from Latin America with chronic heart failure. Diagnosis should be confirmed by positive serology. Right bundle branch block and left anterior fascicular block on 12-lead electrocardiogram, enlarged cardiac silhouette with no pulmonary congestion on chest X-ray and left ventricular apical aneurysm on echocardiography are the distinctive features of this condition. The clinical course is poorer than that of non-Chagas heart failure; however, medical treatment is similar. Implantable cardioverter-defibrillators are useful in the primary and secondary prevention of sudden cardiac death. Cardiac resynchronisation therapy can be given to patients on optimal medical therapy and with lengthened QRS complex. Heart transplantation is the treatment of choice for patients with end-stage Chagas heart failure. Chagas heart failure has several peculiarities that distinguish it from other forms of heart failure. Physicians must therefore be alert to how to deal with Chagas heart failure to ensure patients receive the best treatment for this condition. This overview is intended to provide insights into how to recognise and treat patients living in non-endemic countries who have Chagas heart failure. Given the epidemiology of Chagas disease, clinicians faced with immigrants from Latin America should have a high degree of suspicion for heart failure in those with positive serology. Figure 1 provides a simplified care pathway. An echocardiographic study should be undertaken to detect early myocardial dysfunction in this patient population. Chagas heart failure is the consequence of reduced left ventricular ejection fraction (LVEF).9 In general, dyspnoea is the predominant symptom. Following this inaugural symptom, pedal oedema supervenes, and the clinical picture of right-sided heart failure ensues. Isolated right-sided heart failure, although rare, can be observed in patients with Chagas heart failure. It sometimes precedes the appearance of left-sided heart failure. In the presence of bi-sided heart failure, physical examination may suggest that right-sided heart failure predominates.13 This means that a patient with anasarca and left ventricular systolic dysfunction, for example, may have no dyspnoea. In patients with mild symptoms, especially in those in New York Heart Association (NYHA) Class II, precordial chest may simulate coronary artery disease (CAD).4 Coronary angiography can be performed to rule out concomitant obstructive CAD, but this is normal in the vast majority of cases.14 Abnormalities in myocardial perfusion scintigraphy can be observed in the absence of concomitant obstructive CAD in Chagas heart failure patients, thus suggesting derangement of the coronary microvasculature. Another finding not observed at the same magnitude in non-Chagas disease heart failure is the presence of cardiac arrhythmias on physical examination.17 Atrial fibrillation is observed in up to 30 % of patients with this condition18,19 and premature contractions (ventricular in origin in the vast majority of cases) occur in about 50 % of patients.18 It is important to emphasise that the prevalence of atrial fibrillation is higher in patients with Chagas heart failure than in those from a general, unselected population;20 about three-quarters of patients with Chagas heart failure will have cardiac arrhythmia on physical examination. RBBB and left anterior fascicular block are found in about 40 % of patients with Chagas heart failure, which is higher than that seen in CHF due to other types of cardiomyopathy.17,18,21 The association between RBBB and left anterior fascicular block, which is more frequent in patients with Chagas cardiomyopathy,22 should alert physicians to the possibility of Chagas heart failure. In contrast, the prevalence of left bundle branch block (LBBB), which is frequently found in patients with non-Chagas cardiomyopathy,23 is lower in Chagas heart failure.17,18,21 Such electrocardiographic peculiarities should raise suspicion of Chagas disease aetiology in patients with CHF coming from an endemic area. On chest X-ray it is common to see an impressive cardiomegaly with no evidence of congestion, a finding observed as far back as 1945.13 This is probably a consequence of the concomitant right ventricular involvement usually observed in patients with Chagas heart failure. Such a characteristic should prompt physicians to consider this diagnosis in patients from an area where Chagas is endemic. Twenty-four-hour Holter monitoring can reveal complex premature ventricular contractions, particularly non-sustained ventricular tachycardia (NSVT). Holter monitoring reveals NSVT in up to 50 % of patients with Chagas heart failure,26 a much higher frequency than observed in patients with non-Chagas heart failure.27 NSVT is heralded by the presence of premature ventricular contractions on resting ECG.28 This is of the utmost importance because about 10 % of Chagas disease patients with NSVT progress to sustained ventricular tachycardia,29 which in about 24 % of cases degenerates into ventricular fibrillation and SCD.30 Clearly, the presence of NSVT in a young patient with CHF from an endemic area should raise the diagnostic possibility of Chagas heart failure. Twelve-lead ECG and Holter monitoring can detect complete atrioventricular block. Chagas disease is the leading cause of complete atrioventricular block in areas where the disease is endemic;31 it was found in about 10 % of patients seen in one referral centre for the treatment of Chagas disease.32 In other referral centres specialised in heart failure treatment, however, the frequency of pacemakers in patients with Chagas heart failure is as high as 50 %.33 The presence of CHF and advanced atrioventricular block in young patients from an endemic area should therefore alert the physician to a diagnosis of Chagas cardiomyopathy. Thromboembolism is a constant threat for patients with Chagas heart failure, particularly pulmonary embolism. It has a considerable impact on the clinical course of the disease. In severe CHF, right-sided cardiac thrombosis is found in about 58 % of patients, and half will experience pulmonary thromboembolism.35 Cerebrovascular accidents are also a clinical problem, affecting about 11 % of patients.36 In those with milder forms of the syndrome, the risk of death from cerebrovascular accidents is high, at about 42 %.26 Patients with Chagas heart failure are at risk of thromboembolic phenomena due to the high prevalence of mural thrombosis, therefore physicians should routinely screen such patients for intracavitary thrombus and provide timely anticoagulation. There is no evidence base supporting the treatment of patients with Chagas heart failure; Chagas disease is one of the most important but neglected diseases in the world. Treatment of this condition therefore mainly relies on the experience of physicians dealing with this syndrome. Digoxin produces a decrease in renin–angiotensin system activity43 and an improvement in haemodynamic profile44 when administered acutely to patients with Chagas heart failure. Nonetheless, the chronic use of digoxin is an independent predictor of mortality in such patients,34 probably due to digoxin intoxication. Increased digoxin levels have been detected in about 55 % of patients with Chagas heart failure;45 therefore serum levels should be measured when digoxin is given to patients with this condition. Amiodarone therapy has been associated with an unfavourable prognosis in patients with Chagas heart failure;50 moreover, in patients with mild Chagas heart failure (LVEF 45.8 ± 11.2 %) amiodarone is an independent predictor of inducible ventricular tachycardia on electrophysiological study.51 Patients with Chagas heart failure and a LVEF <35 % may therefore be suitable for primary prevention of SCD because their clinical profile is similar to that in patients with non- Chagas heart failure suitable for ICD treatment. ICDs also appear to be of value in the secondary prevention of SCD. The number ICD shocks and episodes of ventricular tachycardia or ventricular fibrillation are higher in Chagas disease than in non-Chagas disease patients with milder forms of CHF.52 ICD implantation has shown that the risk of arrhythmia recurrence is high in patients with mild CHF;30,53 moreover, left ventricular diastolic diameter, a marker of SCD,25 is also a predictor of appropriate shock therapy in patients with mild CHF secondary to Chagas cardiomyopathy.54 ICD therapy also seems to decrease the number of SCDs in patients with mild Chagas heart failure.55 In a cohort of patients receiving ICD therapy compared with historical control patients taking amiodarone, ICD decreased all-cause mortality and SCD in patients with this condition.56 Thus, physicians dealing with patients with Chagas heart failure and ventricular tachycardia/ventricular fibrillation should refer such patients to receive ICD therapy for the secondary prevention of SCD. The efficacy of cardiac resynchronisation therapy (CRT) in the setting of Chagas heart failure is not completely clear in view of the paucity of studies. Silva et al. studied the effects of CRT in patients receiving right ventricular pacing and observed an increase in LVEF and an improvement in functional status.57 Araujo et al.58 reported an increase in LVEF and a decrease in left ventricular systolic volume. The European Society of Cardiology guidelines have recently recommended CRT for non-Chagas heart failure patients with a QRS duration >150 msec and a non-LBBB. These guidelines also recommend patients with non-LBBB and a QRS duration between 130 and 149 msec be considered for CRT.46 Taking into account that about 16 % of patients with Chagas heart failure will have LBBB, almost half of them will have non-LBBB17,18,21 and the beneficial effects obtained with CRT in such patients make it reasonable to suggest CRT for selected patients with this condition. T. cruzi infection reactivation prevalence varies from 27 to 90 %, with a mean prevalence of around 35 %, and can be confounded with rejection in about 43 % of cases. Reactivation can be found from 1 to the 24 months post-HT.65 Mycophenolate mofetil appears to be a risk factor for T. cruzi reactivation.61,66 Reactivation is treated with benznidazole or nifurtimox, and mortality is very low (0.7 %),62 even in cases with central nervous system involvement.67 Clearly, HT is a formal indication for the treatment of end-stage Chagas heart failure. A randomised trial of intracoronary injection of autologous bone marrow-derived mononuclear cells versus placebo in patients with severe Chagas heart failure has shown no benefit in comparison to placebo.68 This therapy should therefore not be given to patients with this condition. Chagas heart failure has differences in clinical features, subsidiary tests and course that distinguish it from non-Chagas heart failure. The treatment, however, is similar to that available for non-Chagas heart failure. Physicians dealing with this disease should be aware of the differences in presentation and similarities in treatment to ensure patients with this condition are correctly diagnosed receive the best treatment. Anonymous. Chagas disease in Latin America: an epidemiological update based on 2010 estimates. Wky Epidemiol Rec 2015;90:33–44. Pinazo MJ, Miranda B, Rodrigues-Villar C, et al. Recommendations for management of Chagas disease in organ and hematopoietic tissue transplantation programs in nonendemic areas. Transplant Rev 2011;25:91–101. Lee BY, Bacon KM, Bottazzi ME, et al. Global economic burden of Chagas disease: a computational simulation model. Lancet Infect Dis 2013;13:342–8. Bestetti RB, Restini CB. Precordial chest pain in patients with chronic Chagas disease. Int J Cardiol 2014;176:309–14. Samuel J, Oliveira M, Correa De Araujo RR, et al. Cardiac thrombosis and thromboembolism in chronic Chagas’ heart disease. Am J Cardiol 1983;52:147–51. Carod-Artal FJ, Gascon J. Chagas disease and stroke. Lancet Neurol 2010;9:533–42. Gonçalves JGF, Silva VJD, Borges MCC, et al. Mortality indicators among chronic Chagas patients living in an endemic area. Int J Cardiol 2010;143:235–42. Bestetti RB, Cardinalli-Neto A. Sudden cardiac death in Chagas’ heart disease in the contemporary era. Int J Cardiol 2008;131:9–17. Bestetti RB, Theodoropoulos TA, Cardinalli-Neto A, et al. Treatment of chronic systolic heart failure secondary to Chagas heart disease in the current era of heart failure therapy. Am Heart J 2008;156:422–30. Sabino EC, Ribeiro AL, Salemi VMC, et al. ; National Heart, Lung, and Blood Institute Retrovirus Epidemiology Donor Study-II (REDS-II), International Component. Ten-year incidence of Chagas cardiomyopathy among asymptomatic Trypanopsoma cruzi-seropositive former blood donors. Circulation 2013;127:1105–15. Bestetti RB, Furlan-Daniel RA. The treatment of chronic heart failure secondary to Chagas cardiomyopathy in the contemporary era. Int Cardiovasc For J 2016;7:19–25. Petti MA, Viotti R, Armenti A, et al. Predictors of heart failure in chronic chagasic cardiomyopathy with asymptomatic left ventricular dysfunction. Rev Esp Cardiol 2008;61:116–22. Dias E, Laranja FS, Nobrega G. Doença de Chagas. Mem Inst O Cruz 1945;43:495–581. Carvalho G, Rassi S, Bastos JM, et al. Asymptomatic coronary artery disease in chagasic patients with heart failure: prevalence and risk factors. Arq Bras Cardiol 2011;97:408–12. Barros LC. Estudo clínico do aparelho cardiovascular no período terciário da Tripanosomose Americana. Rev Hosp Clin 1948;3:155–82. Bestetti RB, Otaviano AP, Fantini JP, et al. Prognosis of patients with chronic systolic heart failure: Chagas disease versus systemic arterial hypertension. Int J Cardiol 2013;168:2990–1. Vilas Boas LG, Bestetti RB, Otaviano AP, et al. Outcome of Chagas cardiomyopathy in comparison to ischemic cardiomyopathy. Int J Cardiol 2013;167:486–90. Abuhab A, Trindade E, Aulicino GB, et al. Chagas’ cardiomyopathy: the economic burden of an expensive and neglected disease. Int J Cardiol 2013;168:2375–80. Dias JCP, Kloetzel K. The prognostic value of the electrocardiographic features of chronic Chagas disease. Rev Inst Med S Paulo 1968;10:158–62. Barbosa AP, Cardinalli Neto A, Otaviano AP, et al. Comparison of outcome between Chagas cardiomyopathy and idiopathic dilated cardiomyopathy. Arq Bras Cardiol 2011;97:517–25. Bestetti RB, Muccillo G. Clinical course of Chagas’ heart disease: a comparison with dilated cardiomyopathy. Int J Cardiol 1997;60:187–93. Rolande DM, Fantini JP, Cardinalli Neto A, et al. Prognostic determinants of patients with chronic systolic heart failure secondary to systemic arterial hypertension. Arq Bras Cardiol 2012;98:76–84. Oliveira JS, Mello De Oliveira JA, Frederigue U Jr, et al. Apical aneurysm of Chagas’s heart disease. Br Heart J 1981;46:432–7. Bestetti RB, Dalbo CM, Arruda CA, et al. Predictors of sudden cardiac death for patients with Chagas’ disease: a hospital-derived cohort study. Cardiology 1996;87:481–7. Carrasco HA, Parada H, Guerrero L, et al. Prognostic implications of clinical, electrocardiographic and hemodynamic findings in chronic Chagas’ disease. Int J Cardiol 1994;43:27–38. Bardy GH, Lee KL, Mark DB, et al. ; Sudden Cardiac Death in Heart Failure Trial (SCD-HeFT) Investigators. Amiodarone or an implantable cardioverter-defibrillator for congestive heart failure. N Engl J Med 2005;352:225–37. Rassi Jr A, Rassi AG, Rassi SG, et al. Arritmias ventriculares na doença de Chagas. Particularidades diagnósticas, prognósticas e terapêuticas. Arq Bras Cardiol 1995;65:377–87. Silva RMFL, Távora MZP, Gondin FAA, et al. Predictive value of clinical and electrophysiological variables in patients with chronic chagasic cardiomyopathy and nonsustained ventricular tachycardia. Arq Bras Cardiol 2000;75:41–7. Cardinalli-Neto A, Greco OT, Bestetti RB. Automatic implantable cardioverter-defibrillators in Chagas heart disease patients with malignant ventricular arrhythmias. Pacing Clin Electrophysiol 2006;29:467–70. Costa R, Rassi A, Leão MIP. Clinical and epidemiologic characteristics of patients with Chagas disease submitted to permanent cardiac pacemaker implantation. Rev Bras Cir Cardiovasc 2004;19:107–14. Sierra-Johnson J, Olivera-Mar A, Monteón-Padilla VM, et al. Panorama epidemiológico de la cardiopatia chagásica crônica em México. Rev Saude Publica 2005;39:754–60. Parra AV, Bestetti RB, Cardinalli-Neto A, et al. Impact of right ventricular pacing on patients with Chagas cardiomyopathy with chronic systolic heart failure. Int J Cardiol 2012;154:219–20. Theodoropoulos TA, Bestetti RB, Otaviano AP, et al. Predictors of all-cause mortality in chronic Chagas’ heart disease in the current era of heart failure therapy. Int J Cardiol 2008;128:22–9. Arteaga-Fernández E, Barretto AC, Ianni BM, et al. Cardiac thrombosis and embolism in patients having died of chronic Chagas cardiopathy. Arq Bras Cardiol 1989;52: 189–92. Espinosa R, Carrasco HA, Belandria F, et al. Life expectancy analysis in patients with Chagas’ disease: prognosis after one decade (1973–1983). Int J Cardiol 1985;8:45–56. Botoni FA, Poole-Wilson PA, Ribeiro ALP, et al. A randomized trial of carvedilol after renin-angiotensin system inhibition in chronic Chagas cardiomyopathy. Am Heart J 2007;153:544. e1–8. Roberti RR, Martinez EE, Andrade JL, et al. Chagas cardiomyopathy and captopril. Eur Heart J 1992;13:966–70. Davila DH, Angel F, Bellabarba GA, et al. Effects of metoprolol in chagasic patients with severe congestive heart failure. Int J Cardiol 2002;85:255–60. Issa VS, Amaral AF, Cruz FD, et al. Beta-blocker therapy and mortality of patients with Chagas cardiomyopathy. A subanalysis of the REMADHE prospective trial. Circ Heart Fail 2010;3:82–8. Bestetti RB, Otaviano AP, Cardinalli-Neto A, et al. Effects of b-blockers on outcome of patients with Chagas’ cardiomyopathy with chronic heart failure. Int J Cardiol 2011;151:205–8. Barretto ACP, Del Caerlo CH, Cardoso JN, et al. Mortality in heart failure is going down even in patients with inotropics (abstract). Eur J Heart Fail 2009;7:66. Khoury AM, Davila DF, Bellabarba G, et al. Acute effects of digitalis and enalapril on the neuro-hormonal profile of chagasic patients with severe heart failure. Int J Cardiol 1996;57:21–9. Manço JC, Gallo-Jr L, Godoy RA, et al. Efeitos hemodinâmicos na Cardiopatia Chagásica Crônica. Arq Bras Cardiol 1974;27:25–35. Ferrari SJ, Bestetti RB, Cardinalli-Neto A, et al. Digoxin serum levels in patients with Chagas cardiomyopathy heart failure. Rev Soc Med Trop 2010;43:496–9. Ponikowski P, Voors AA, Anker SD, et al. ; Authors/Task Force Members; Document Reviewers. 2016 ESC guidelines for the diagnosis and treatment of acute and chronic heart failure: The Task Force for the diagnosis and treatment of acute and chronic heart failure of the European Society of Cardiology (ESC). 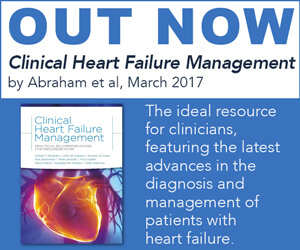 Developed with the special contribution of the Heart Failure Association (HFA) of the ESC. Eur Heart J 2016;37: 2129–200. Morillo CA, Marin-Neto JÁ, Avezum A, et al. ; BENEFIT Investigators. Randomized trial of benzonidazole for chronic Chagas cardiomyopathy. N Engl J Med 2015;373:1295–306. Cardinalli-Neto A, Nakazone MA, Grassi LV, et al. 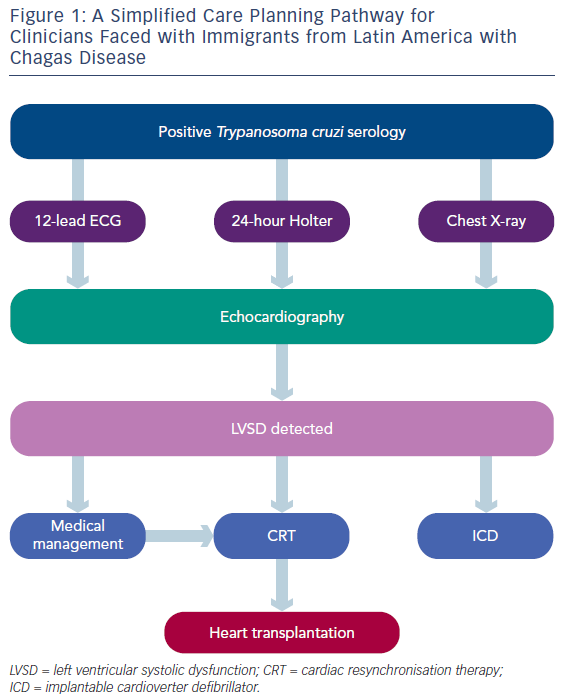 Implantable cardioverter-defibrillator therapy for primary prevention of sudden cardiac death in patients with severe Chagas cardiomyopathy. Int J Cardiol 2011;150:94–5. Pereira FTM, Rocha EA, Monteiro MPM, et al. Long-term follow-up of patients with chronic Chagas disease and implantable cardioverter-defibrillator. Pacing Clin Electrophysiol 2014;37:751–6. Ayub-Ferreira SM, Mangini S, Issa VS, et al. Mode of death of non Chagas heart disease: comparison with other etiologies. A subanalysis of the REMADHE prospective trial. Plos Negl Trop Dis 2013;7:e2176. Cardinalli-Neto A, Lorga-Filho AM, Silva EF, et al. Clinical predictors of inducible sustained ventricular tachycardia during electrophysiologic study in patients with chronic Chagas heart disease. IJC Heart & Vasculature 2015;9:85–8. Barbosa MPT, Rocha MOC, Oliveira AB, et al. Efficacy and safety of implantable cardioverter-defibrillators in patients with Chagas disease. Europace 2013;15:957–62. Martinelli-Filho M, de Siqueira SF, Moreira H, et al. Probability of occurrence of life-threatening ventricular arrhythmias in Chagas disease versus non-Chagas disease. Pacing Clin Electrophysiol 2000;23:1944–6. Martinelli M, de Siqueira SF, Sternick EB, et al. Long-term folow-up of Implantable Cardioverter-Defibrillator for secondary prevention in Chagas heart disease. Am J Cardiol 2012;110:1040–5. Cardinalli-Neto A, Bestetti RB, Cordeiro JA, et al. Predictors of all-cause mortality for patients with chronic Chagas heart disease receiving implantable cardioverter defibrillator therapy. J Cardiovasc Electrophysiol 2007;18:1236–40. Galli WL, Sarabanda AV, Baggio JM, et al. Implantable cardioverter-defibrillators for treatment of sustained ventricular arrhythmias in patients with Chagas heart disease: comparison with a control group treated with amiodarone. Europace 2014;16:674–80. Silva RT, Martinelli-Filho M, Lima CE, et al. Functional behavior of patients with conventional pacemakers undergoing cardiac resynchronization. Arq Bras Cardiol 2008;90:138–43. Araújo EF, Chamlian EG, Peroni AP, et al. Cardiac resynchronization therapy in patients with chronic Chagas cardiomyopathy: long-term follow up. Rev Bras Cir Cardiovasc 2014;29:31–6. Bertolino ND, Villafanha DF, Cardinalli-Neto A, et al. Prognostic impact of Chagas’ disease in patients awaiting heart transplantation. J Heart Lung Transplant 2010;29: 449–53. Bestetti RB, Theodoropoulos TA. A systematic review of studies on heart transplantation for patients with endstage Chagas’ heart disease. J Card Fail 2009;15:249–55. Bestetti RB, Souza TR, Lima MF, et al. Effects of mycophenolate mofetil-based immunosuppressive regimen in Chagas heart transplant recipients. Transplantation 2007;84:441–2. Bocchi EA, Fiorelli A. The paradox of survival results after heart transplantation for cardiomyopathy caused by Trypanosoma cruzi. First Guidelines Group for Heart Transplantation of the Brazilian Society of Cardiology. Ann Thorac Surg 2001;71:1833–8. Bestetti RB, Lattes R. Chagas disease in cardiothoracic transplantation. In: Mooney ML, Hannan MM, Husain S, et al, eds. ISHLT Monograph Volume 5: Diagnosis and Management of Infectious Disease in Cardiothoracic Transplantation and Mechanical Circulatory Support. 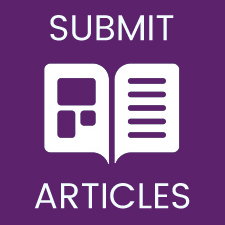 Philadelphia: Elsevier, 2011: 305–12. Kransdorf EP, Czer SC, Luthringer DJ, et al. Heart transplantation for Chagas cardiomyopathy in the United States. Am J Transplant 2013;13:3262–8. Bocchi EA, Giovanni E, Mocelin AO, et al. Heart transplantation for chronic Chagas disease. Ann Thor Surg 1996;61:1727–33. Bacal F, Silva CP, Bocchi EA, et al. Mycophenolate mofetil increased Chagas disease reactivation in heart transplant patients: comparison between two different protocols. Am J Transplant 2005;5:2017–21. Bestetti RB, Rubio FG, Ferraz Filho JR, et al. Trypanosoma cruzi infection reactivation manifested by encephalitis in a Chagas heart transplant recipient. Int J Cardiol 2013;163:e7–8. Santos RR, Rassi S, Feitosa G, et al. ; Chagas Arm of the MiHeart Study Investigators. Cell therapy in Chagas cardiomyopathy (Chagas arm of the multicenter randomized trial of cell therapy in cardiopathies study): a multicentre randomized trial. Circulation 2012;125:2454–61.